A Family Protection Dog is a stable and friendly dog that is integrated within the family. We usually select a female who will have the protective motherly instinct to protect the pack. We specially select and train the dog to be calm and accommodating to the children. The children can ride on its back, play with its ears and the parents can be confident that the dog will not harm them. The dog lives inside the home with the family. The safety of the house protect the dog from being shot, stabbed or poisoned by a terrorist. The dog will raise the alarm, wake up the family and deter any intruder with her barking. If the intruder insists on gaining access the dog will attack with the required ferocity. Once the family dog has been placed, the family have to be trained in how to work with the dog and how to ensure that she does not bite the wrong people. 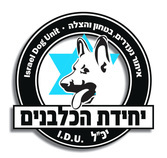 The Israel Dog Unit offers regular training and follow up to the family and, in coordination with the family our trainers simulate situations to ensure that the dog is ready for different eventualities. 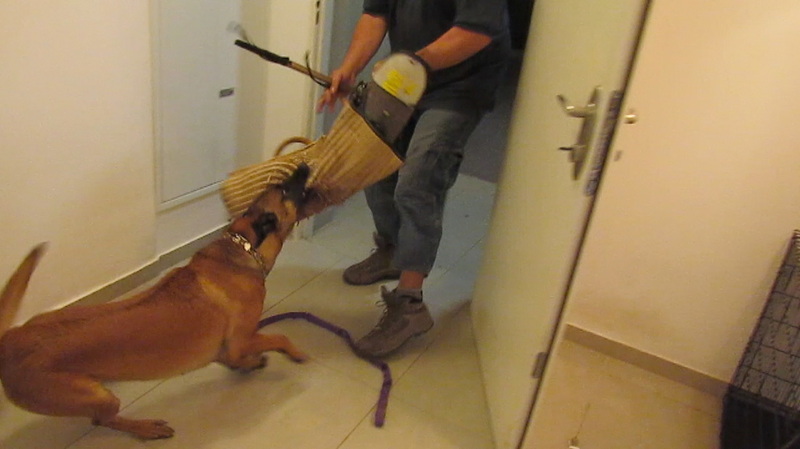 Not only have our dogs deterred numerous incidents but our dogs have made it possible for numerous families, who often have large families, to live in dangerous parts of Israel that would otherwise not be able to. 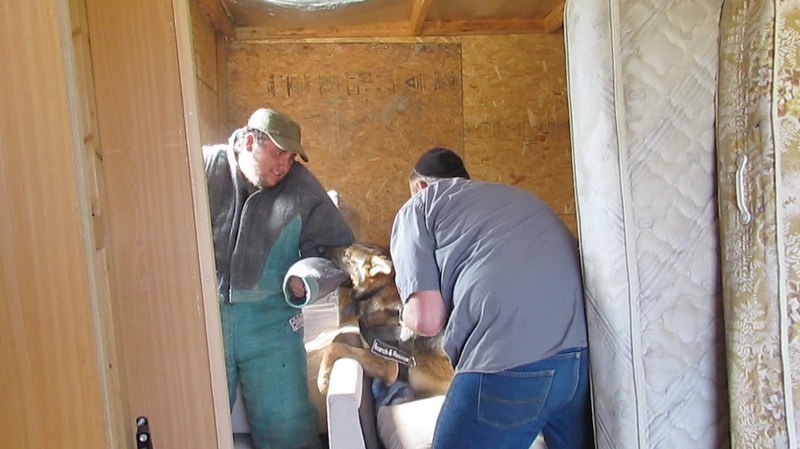 The families that need these dogs are usually not able to cover the costs of raising and training a family dog is approximately $5000. We rely on the support of our sponsors who make it possible for us to save the lives of these families. Our supporters have sponsored a dog in honor of a Bat Mitzvah, Bar Mitzvah or the memory of a loved one. Please click here to sponsor a Family Dog.